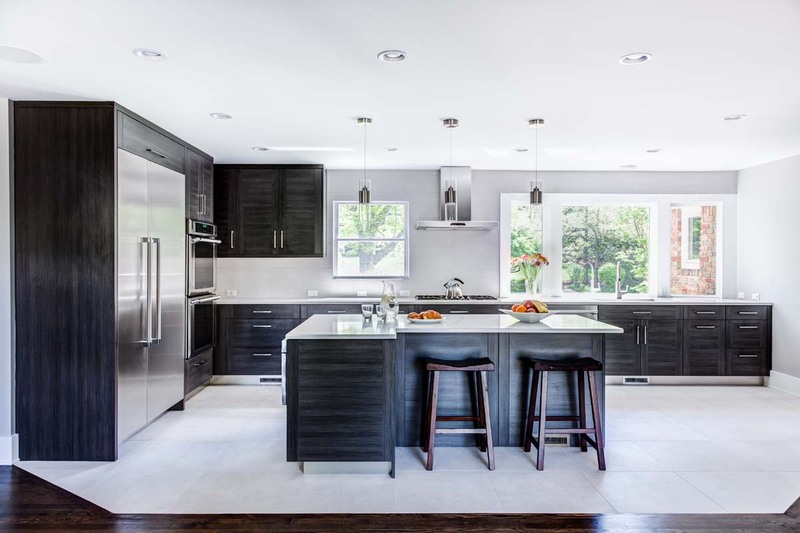 The owners of this beautiful home wanted an open floor plan. They had a long galley kitchen so we suggested removing a load-bearing wall to open up the entire space. 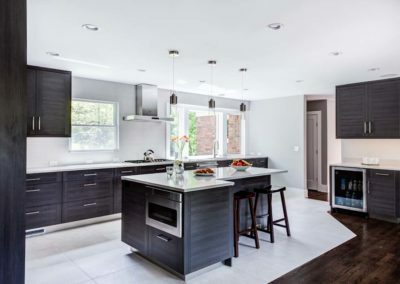 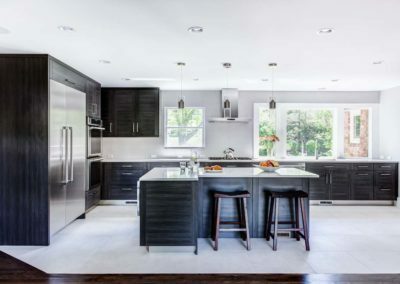 Their large new kitchen features North American cabinetry, an eating area, a sitting area with a wood burning fireplace and an exposed brick wall. 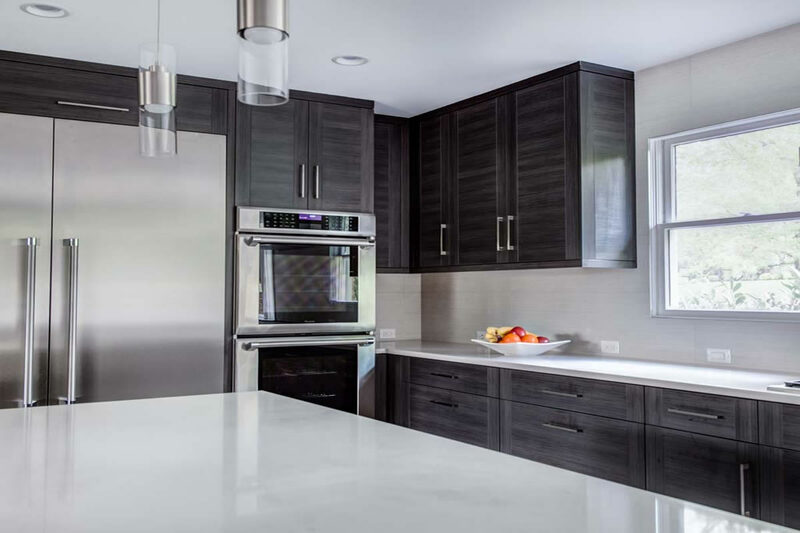 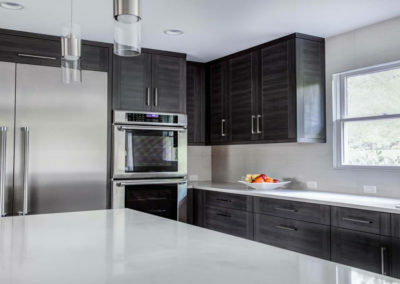 The Caesarstone Haze quartz countertops provide a defined edge and adds to the contemporary feel of the kitchen.